The sensor is non-contact and absolute measurement. The output options include: Analog: Voltage, Current – Digital: J1939, CANopen – PWM. The sensor voltage supply is 12/24 VDC. All sensor components (except for electrical connector) are embedded internally within the Cross cylinder for superior durability and long field life. 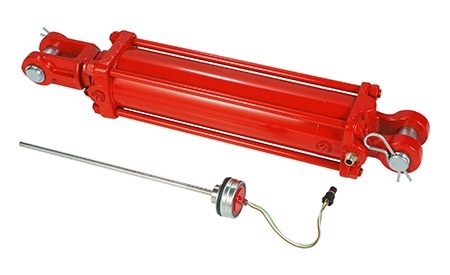 The PDB series tie rod hydraulic cylinder is available in 2" to 5" bore and rated to 2500 psi. 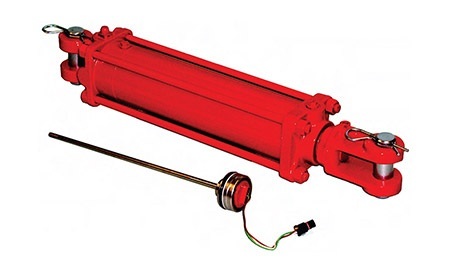 The PDH Position Sensing Hydraulic Cylinder series is available in 2" to 5" bore and rated to 3000 psi.